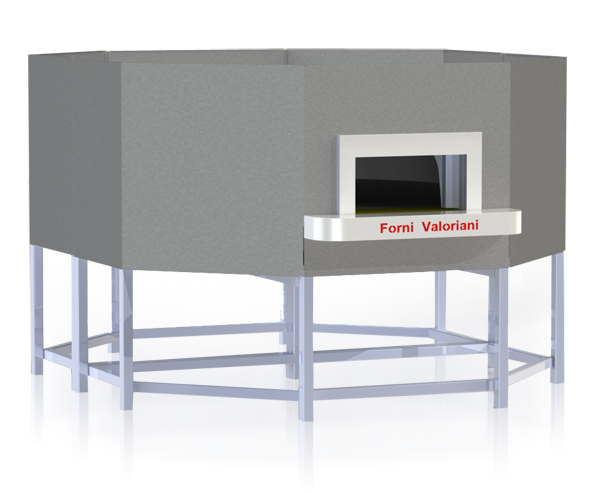 The Valoriani Maxi GR oven is an oven designed for the professional bakery, available in three sizes in the OT steel housing. The principle is the same as the Vesuvio ovens, but both floor and insulation are made specifically for bakery use. Primarily, the refractory floor is made of a deeper, softer and porous Cotto Clay mix, suitable for baking. As baking is made at lower temperatures without a live flame and with the door closed, the floor needs to release heat in a more delicate way. For the same reason, the lower insulation is different than the standard Vesuvio ranges too.